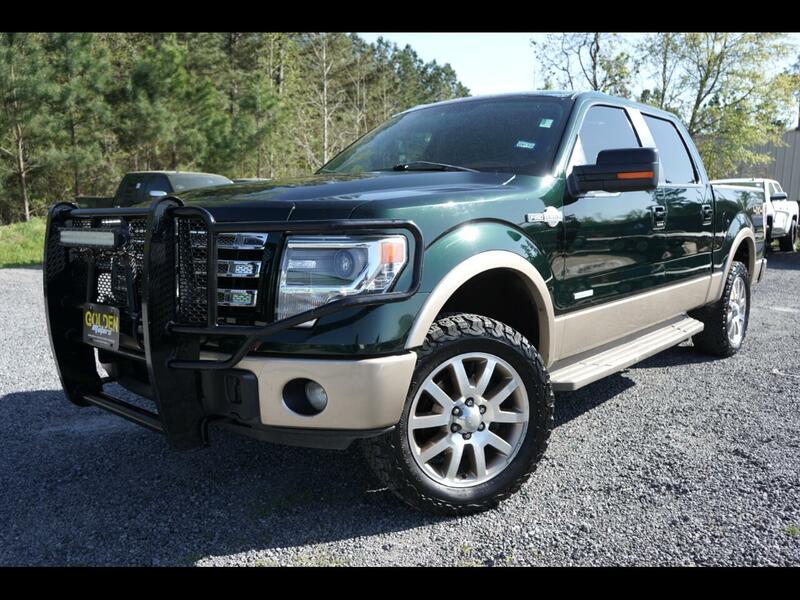 2013 FORD F-150 KING RANCH Crew, 4WD OFFROAD, AUTO, V6, EcoBoost Twin Turbo, 3.5L! This KING RANCH is LOADED, BF Goodrich ALL-Terrain tires, RANCH HAND full brush guard, Light bar, tinted windows, inside you will find brown leather seats, power seats, heated and AC seats, touch screen interface, AM/FM radio, SAT radio, CD Player, AUX port, Bluetooth, SONY Sound System, dual zone climate control, sunroof, steering wheel controls, cruise control, backup camera, parking sensors, auto head lights, fog lights, power windows, power door locks, power mirrors, tow package and MORE! If you would like to know more about this FORD or any of our inventory, please give us a call 803-808-5235 OR stop by and take a test drive TODAY!